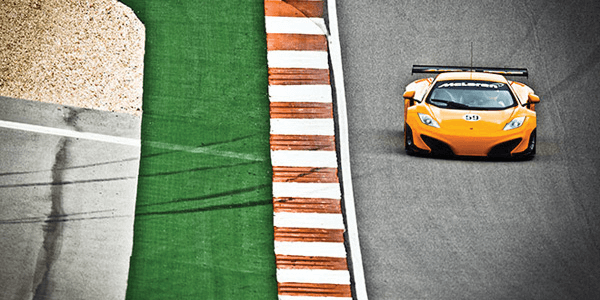 The McLaren MP4-12C GT3 is a full-race version of the company’s already quick MP4-12C supercar. While the road-going car is aimed squarely at the Ferrari 458 Italia, the company’s first GT racer since the legendary F1 GTR aims to make mincemeat of the 458 Challenge. “McLaren has racing in its blood, and it was a natural step to take our MP4-12C road car and turn it into the most reliable, efficient and easy to drive GT3 car,” Martin Whitmarsh, McLaren Group CEO, said in a statement.